Do you offer estimates over the phone or through email? We prefer to meet and greet the customer to see the actual job site, and to be able to answer all your questions, as well as offer advice. The internet seems to be changing the habits of old. On small jobs or various few cases we will give the estimate over the phone. 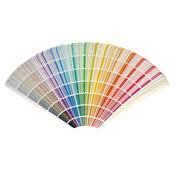 We use and recommend ICS Dulux paints, or Sherwin Williams. In some cases a customer prefers to buy their own paint, we have worked that way in the past, as a service to the customer;please understand even if your selling the house, etc and don't care-- please understand we do. We just ask you don't buy just any cheap over the counter paint and ask us to do the work. Some paints are a disservice to you and the work to be performed. We cannot accept the offer for a estimate, if you do buy low quality paint. Do you use one coat or two coats of paint? We believe in quality work and use 2 coats of paint on the majority of our work. Some companies prefer to use one coat of paint. Most of the the time we believe a lasting finish requires cleaning, sanding, priming, and two coats of fresh paint. How did you create the name D&D Painting? We started at a early age as a father and son team, Dennis & Dennis, and D&D Painting caught on, recently approximately 3 other companies, 1 in Akron, another in Cleveland, and yet another guy took the name D&D Painting in Parma. We are in no way associated with the other D&D Painting locations. We decided to get on the the internet a few years ago and took up a second name "Cleveland House Painting", to distinguish us from the others. The D&D Painting that so many people have come to know us as, for over 37 years -- seems to be fading. Over the years we've acquired ladders, 3 vans, and have various tools to get any job done right. Our work crews are experienced and talented from 1 - 6 people per job. Is there a optimal temperature painting outside exteriors? Many paint manufactures tell homeowners to apply paint that is solvent based when the surface temperature is above 45 degrees and latex type paint when the surface temperature is at least 50 degrees. 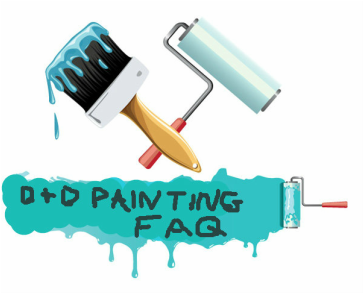 Lower temperatures can cause paint that is solvent based to thicken quicker, which can cause paint brushes to become very thick and the paint is applied heavier and dries slower. What this means is that the paint can run, wrinkle, and sag on surfaces that are vertical. It also is the case when it is colder outside that there is a reduced rate of coverage for every gallon of paint that you use. When the temperature is lower than 50 degrees latex paint dries slower, especially when there is high humidity in the air. This can cause the paint to coalesce and may lead to the paint forming a poor film. It can also cause the paint to not cover as well. What if I am allergic to paint or paint smells, are there any environmentally safe paints? VOC stands for Volatile Organic Compound and has been a key component of the composition of oil based paint and can be a problem even in traditional latex based paints. Exposure to VOC's in paint can trigger asthma attacks, eye irritation and respiratory problems, nausea and dizziness among other symptoms. Given the health concerns of consumers and new government regulations, alternative paints have been coming on the market over the past few years and now present a economical choice over VOC intensive paints. Voluntary standards for VOC content in alternative paint products have been established by Green Seal®, an independent non-profit who sets standards for environmentally responsible or "green" products. The Green Seal certification for Standard GS-11 is based on VOC content, the absence of chemicals, durability and performance among other criteria. Please note: ICI Paints has a new paint line Freshaire, a non VOC paint with 65 tints. The exterior paint on my house is fading, why?? When exterior paints aren't capable of enduring the sun's ultraviolet radiation, the unfortunate results are faded colors and a weak skin that allows damage to the building material underneath. Ultraviolet rays tend to deteriorate paint binders. The binder remains as part of the final paint film, holding the pigment particles in place. Most exterior paints contain resins that are naturally resistant to UV radiation. Look for an exterior paint that contains UV inhibitors or pigments that absorb or reflect the sun’s damaging rays and keep from reaching the substrate under the paint film. Dark colors typically fade faster than light colors—this stands for interior and exterior. Do you provide cleanup after the job? We are professional painters, and we believe in constantly cleaning up the area before, during, and after the job is completed, allowing us to work in a safe environment. We bring various sizes of tarps, trash containers, bags, brooms, buckets, dust masks, dropcloths, dustpans, and anything we believe helps us do the work in a clean environment. We believe no job is complete until the cleaning is done to our satisfaction, and the customers approval. Left over paint - We label each can for color and location of the leftover paint for any possible future touch-up, and you will also be able to refer to the same paint color and type in the future. I am often asked, why are paint estimates different? I am often asked, why are paint estimates different... There are so many variables to the puzzle. Basically the size of the project, the length of time it takes, conditions of the house - siding, trim, boards, walls, bathrooms, etc. Paint Costs may vary from 15 - 25% of the costs Labor averages 75% - 85% of costs. The avg exterior house estimate ranges from $1500- $3000 - approx 3 bedroom house $3000 - $500 multi story. The avg interior wall estimates ranges from 12 x 12 room $200- $400 15 x 20 $300 - $700 1200 x 1500 - $1100 - $2000 - ceiling costs are higher. Factors Painting Contractors consider are: time of year, cost of supplies - drop cloths, ladders, tape, plastic wrap, paint brushes, rollers, primer, paint (2 or more coats), cost of fuel&time to get to the job site. Exterior - covering bushes, windwows, furniture, moving objects, etc. Interior - crown molding, baseboards, condition, room types, ceiling, moving heavy furniture etc. I'm selling my house, what improvements should I make?? Having the paint in good condition is almost more important than the color." Lashinsky says. "Really focus on that outside, external shell," he says. "You would be amazed by the amount of people that drive by a house and say, 'Ah, that's not for me.' And they can tell just by the way the upkeep and the outside looks. and replace it with new, mildew-resistant caulk, Zuch says. And rather than remodeling the entire space, homeowners can reinvigorate a worn-down bathroom by replacing cracked sinks, Lupberger says.